Dr. Wang is a specialist in Periodontics and Dental implant. He is a Diplomate of the American Board of Periodontology. Our practice specializes in treatments of gum disease, dental implants, and cosmetic procedures to aesthetically enhance your smile. 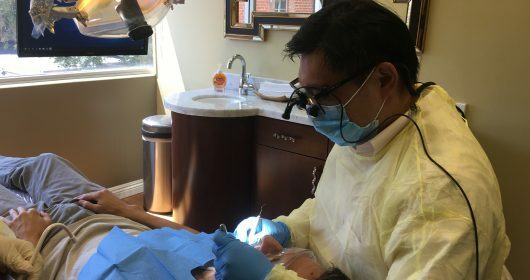 Dr. Vincent Wang is a board certified periodontist, committed and limited to the practice of periodontology and dental implant. Dr. Wang grew up in Rockville Maryland. He earned a Bachelor of Science degree from Johns Hopkins University and Master of Science degree from George Washington University. Dr. Wang will conduct a detailed examination. This initial examination will take approximately forty minutes up to one hour. 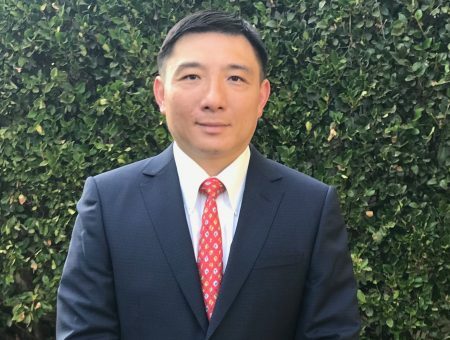 Dr. Wang will discuss with you about your diagnosis, correspondence treatments, time requirement, and cost. After you have accepted the treatment proposal, we will be glad to schedule an appointment for you. Patient Registration Form and Medical History Form. These forms can be downloaded from the “On-line Forms and Brochures” section on this website. Referral slip and x-ray from your referring dentist. We will need a set of current x-rays in order to see disease not otherwise visible. If your referring dentist has taken the x-ray, you may request them to e-mail it to us. Any x-ray is needed for diagnosis and one has not been forwarded to us, we will take one or several as needed at your initial appointment. In order to give our patients the best possible care in an individualized environment, we work only by appointment. This means that a specific time slot is reserved only for one patient. For this reason, we require 48 hours of prior notice for any appointment cancellation so that time can be given to another patient. If you have pain or an emergency situation, every attempt will be made to see you that day. We are committed to giving punctual service and seeing our patients in a timely manner. An appointment cancellation without prior notice is subjected to a cancellation fee. The payment is collected at the time services are rendered unless prior arrangements have been made. For your convenience, payments can be made by cash, personal check, Visa, and Master card. Due to constant changes in the insurance regulations, we are only able to estimate your insurance coverage. We stand ready to assist you in obtaining the maximum benefit from your insurance coverage. Please keep in mind that most dental insurance policies are limited and often only pay for a portion of the procedure(s) that may need to be done. We ask our patients to pay for the portion not covered by insurance at the time services are rendered. Please note that Dr. Wang is committed to provide the best care for you regardless your insurance coverage. There are many ways to communicate with our office. Please choose the method most coonvinent to you. Copyright © 2018 | Vincent W.H. Wang, D.D.S., M.S | All rights reserved.